Sideshow Collectibles is now taking preorders for the Han Solo in Carbonite Plaques created but Regal Robot. 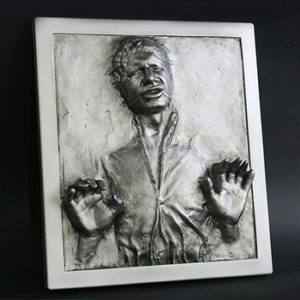 This ready to hang wall decor is a great way to bring Star Wars style to your home, office, fan cave or home theater! Available in two sizes: 17.5″Hx15.5″W ($199.99) and 6.5″x5.5″ ($44.99), these exacting 3D replicas would make the perfect decoration for any living space. Sideshow Collectibles is now taking preorders for their Darth Vader Premium Format Figure from Rogue One: A Star Wars Story. This exclusive version includes a Rebel Trooper helmet and blaster to accessorize the Rebel Ship display base. Big Bad Toy Store has updated with a new series of preorders and new arrivals this week. Click on over to check out the Dengar ARTFX+ Statue from Kotobukiya as well as 3 new additions from Gentle Giant – the Porg Bookends, Han Solo in Carbonite Collector’s Gallery Statue and the Dengar Collector’s Gallery Statue. Sponsor Sideshow Collectibles is now taking preorders for their Obi-Wan Kenobi Premium Format Figure. This polystone figure features swappable right arms, fabric Jedi robes, and environmental display base. Plus, the exclusive version includes a severed arm from Ponda Baba and blaster. 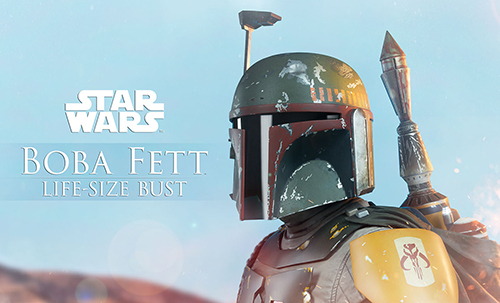 Sideshow has announced that preorders will begin later today for their Boba Fett Life-Size Bust. Measuring over 30” tall, Boba Fett has an articulated helmet, allowing you to display him on the lookout for his next target. His helmet also features an articulated range finder and synthetic hair Wookiee scalps adorning his shoulder as trophies of his seasoned past. 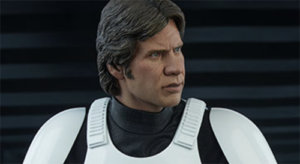 Sideshow is now taking preorders for their standard and exclusive Stormtrooper Premium Format figures – the latter includes an optional Han Solo alternate portrait/head. Click the links below for our direct affiliate links. 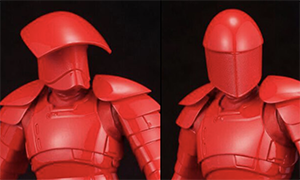 Sponsor Big Bad Toy Store is now taking preorders for Kotobukiya’s ARTFX+ Elite Praetorian Guard 2 pack from The Last Jedi. 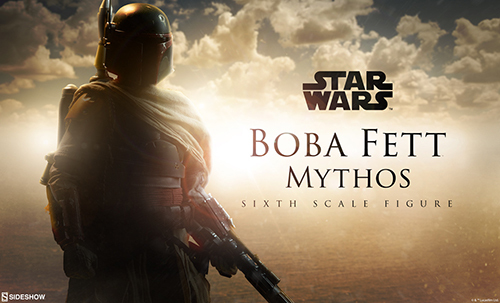 Sideshow has just released a teaser for their next entry into the Sixth Scale Mythos line with Boba Fett! As a refresher for this version of the iconic character, check out our toyguide update for Sideshow’s statue. Sponsor Sideshow Collecitbles is now taking preorders for their Kylo Ren Life-Size Bust. Kylo Ren has tailored fabric garments, with the textured material forming the hood and cloak at his shoulders. The Kylo Ren Life-Size Bust can be displayed with the hood up or down, allowing you to customize your ultimate Star Wars display. Kotobukiya has just announced their newest addition to their ARTFX+ line of 1/10th scale statues – the First Order Stormtrooper Executioner from The Last Jedi. Click on through for the image gallery and details.